Presently we have five professional, international consultants with expertise in Human Resources and Organisational Development and ten professional executive search and recruitment consultants with in-depth knowledge of the Saudi market. Bleihid N Al Bleihid is the founder and Managing Director of EJADAH, an independent, international management consultancy and the owner of EMA Partners Saudi Arabia. He is the Chairman of the Board of Directors at Al-Ahli Takaful Company and has been the Senior Executive Vice President – Group Head, Human Resources Group at National Commercial Bank since 2013. He is also a Member, Nomination and Remuneration Committee at NCB Capital. Before moving into consultancy, he held Senior Executive HR positions with a number of major international companies, he was the Director of Human Resources for Saudi Research & Marketing Group - based in Riyadh but with overall world-wide HR responsibility for all Group companies & operations. Prior to this, he was General Manager – Human Resources for the Saudi British Bank (SABB), a position that he held for over 9 years as a member of the top Executive strategy team & through its most significant period of rapid change & successful growth. 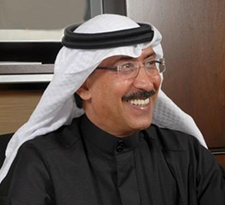 In addition, he has held senior HR positions in King Faisal Specialist Hospital and other industries. Bleihid has substantial experience of leading & managing all key HR departments – HR strategy, compensation & benefits, recruitment, management development & training, HR operations, organisational development and structural change et cetera. His key areas of expertise include facilitating and guiding the alignment of strategy with structure and the needs of the business, organisational change, executive search & developing competitive compensation & benefits strategies/approaches. In starting Ejadah, his aim is to deliver & provide the highest quality of up-to-date & leading edge HR services to meet the needs of businesses within the Gulf. Drawing upon his own International expertise & the expertise of partners from around the world, Bleihid leads a consultancy that provide organizational development & change leadership, executive search & other HR/Management solutions. He is a registered partner of EMA – Partner International, which is one of the leading search consultancies in the world, & he is a licensed assessment consultant using Apter International, PI & SHL OPQ tools. Educated in the United States of America, he holds a degree in Business Management. Within the community, he is a member & trusted advisor to a number of Charity & non-profit organisations. On the business front, he is a well-recognised HR consultant & provides consultancy to various companies across the spectrum of commercial sectors including media companies. He is a regular speaker at conferences, covering such topics as creating the best working environment, means to attract high calibre staff in a competitive market, handling labour issues and others. Most recently, he was an invited speaker to a global Executive search group in Dubai.